17 months after the impact of Hurricane María in Puerto Rico, the Central Office for Recovery, Reconstruction and Resiliency (COR3) has some $600 million in reimbursements request for disaster repair or emergency works pending. These funds were paid or committed to agencies, municipalities, public corporations, and some nonprofit organizations to respond to the September 20, 2017 hurricane and that has not yet returned to the coffers of these entities because they were under a special review process by the Federal Emergency Management Agency (FEMA). 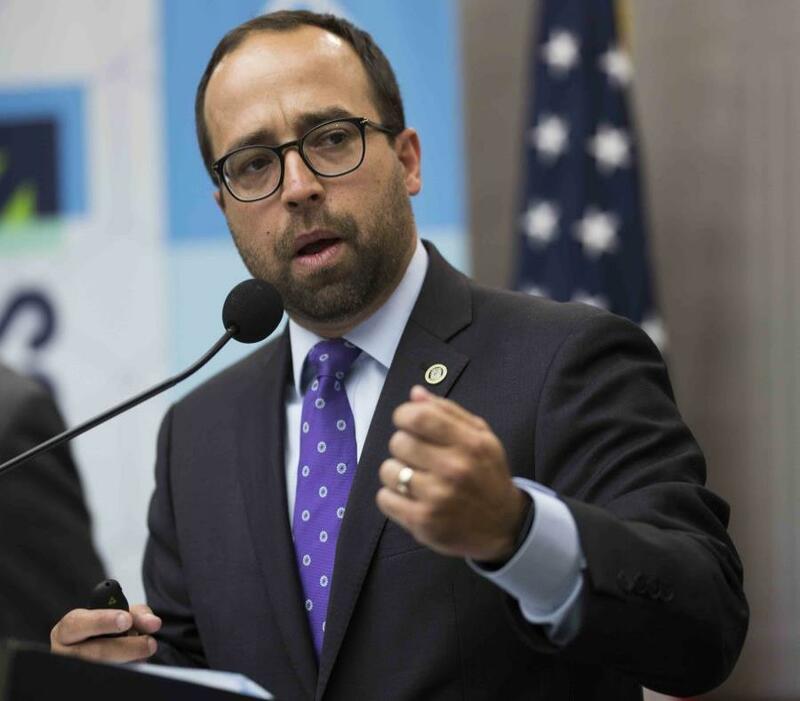 That review, known as "Standard Form 270," was adopted by the federal agency about two months after the hurricane and, according to COR3 Director Omar Marrero, that layer of scrutiny by FEMA has been one of the causes for the delay in releasing federal funds for the island. Since yesterday, that obstacle has been left behind, after FEMA and COR3 agreed that starting April, the local government will review SF-270 requests and authorize such reimbursements after setting a review process agreed by the parties. The agreement was unveiled yesterday by Marrero and FEMA's Federal Disaster Recovery Coordinator in Puerto Rico, Mike Byrne, who stressed that the agreement will ensure the proper use of taxpayers' money. "Today, in less than a year and different from New York, that took three years, we have a system where we can control the reimbursement process," Marrero said. According to Marrero, the agreement with FEMA should reduce by almost two-thirds the time the federal agency will take to reimburse agencies, municipalities, and other entities for disaster relief spending. Currently, there is an average two-month wait for reimbursement, under the upcoming change, 75 percent of funds will be issued within 21 days. According to Byrne, that the change in FEMA review processes came after conversations between the federal agency and COR3 that corroborated that the Puerto Rican government has implemented regulations to ensure that the reimbursements requested respond to works that have been done. Marrero said that a frequent deficiency in reimbursements is that for debris removal after the hurricane. This is because some entities carried out the work but did not demonstrate that the debris removal process was handled according to current regulations. The agreement with COR3 should minimize these dynamics and speed up reimbursements. The agreement between COR3 and FEMA comes amid reports, congressional questioning, and mea culpa from the federal agency for its deficient response to the disaster that caused about 3,000 deaths in Puerto Rico. The agreement was unveiled after FEMA admitted a failure in its systems that exposed the personal and banking information of millions of hundreds of thousands of Puerto Ricans and millions of U.S. disaster survivors in FEMA's Transitional Sheltering Assistance program. Based on Marrero and Byrne's statements, the agreement between COR3 and FEMA could be summarized in two parts. On one hand, by controlling the authorization of reimbursements, COR3 will review the requests of the different entities eligible to receive the funds. On the other hand, FEMA will conduct quarterly audits on CRRO approvals. Once COR3 approves the reimbursement request, it will inform FEMA and the agency will reimburse the money to the recipient. In November 2017, FEMA established, among its requirements to grant funds to the island, that agencies, public corporations, municipalities or nonprofit organizations that provide quasi-governmental services fill out Standard Form 270. This form allows requesting an advance or matching of funds invested and must be submitted with evidence that justifies the expenses and the work done. COR3 reached an agreement with FEMA after hiring three private firms - Deloitte & Touche, CSA, and ICF - that helped to establish internal procedures and other reconstruction related processes. If the reimbursement request receives the initial endorsement from COR3, which will require the agency or municipality to submit all documentation related to the public assistance project, the entity will receive 75 percent of the reimbursement. The difference will be disbursed once they verified that the project has been completed. According to COR3 and FEMA, to date, the federal agency has authorized $15 billion in assistance to the island after Hurricane María. Byrne said that, although some funds have remained in the Puerto Rican government, a good part of the resources allocated to the island after the disaster went to citizens or to the repair of the power grid, allocations that, in that case, were managed by the U.S. Corps of Engineers. About $5 billion of the total contributed by FEMA would have flowed directly through the government and different agencies.